Hey everyone! 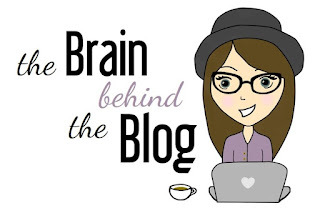 It's time for my second interview in The Brain Behind The Blog feature. 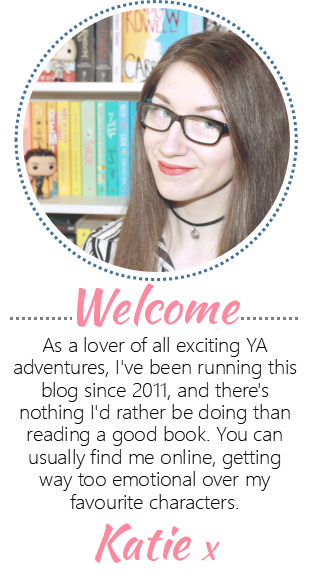 Today I'm pleased to welcome the fabulous Yasmine from Swissbookworm! How long have you been blogging, and what was it that inspired you to get started? 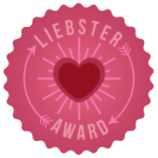 I started my blog in January 2016, so I'm still kind of a newbie in the blogging world. My love for books totally got me hooked on a lot of book blogs and I wanted to create a space that's my own where I can share my opinion on books and all things related to that subject with those who are interested in hearing (or rather reading) it. What is the best part about blogging for you? Besides having my own 'website' it's having the possibility to meet new people and talk about things you love with them. I've met so many awesome bloggers on the internet in the past few months. It's a really great feeling when you can just talk about books all the time and people will join the conversation without hesitation. Have you had any blogging disasters? The biggest disaster would be myself because the past two months I've been struggling with posting book reviews and joining my favourite memes and things like that because of work. 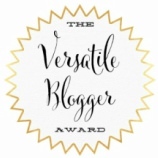 What has been your favourite blogging memory? The moment my blog went public the very first time. It was all so new and I just plunged into this new world without even thinking it through. My layout was a disaster, I didn't really think about what I was writing in my reviews and I was just very unprepared. But the feeling of witnessing the 'birth' of my blog will always be one of my favourite memories. What do you hope to achieve with your blog in the future? I'd love to interact with more people and get more people to read reviews. But that means that I first have to be happy with what I write and I'm just not quite there yet. What appeals to you when searching for new books to read? The summary has to be convincing. If I don't like the idea of the plot, then I won't like reading it either, so it has to leave an instant impression on me. Are there any genres that you avoid? Horror, Thriller and I rather avoid crime novels as well. What book would you say has had the biggest impact on your life? The entire Harry Potter series. I grew up with it and I'm your typical Potterhead. I will never stop loving these books and it has become a lifestyle for me. Without Harry Potter in my life I would only be an empty shell of the real me. What book are you currently anticipating? The Harry Potter and the Cursed Child Screen Play and also Gemina are my top two anticipations at the moment. There are still so many great books coming out this year I wouldn't even know where I should start. Tell us who your favourite fictional characters are! Ughh, I don't even know where I should start and who I should mention. Definitely on the list (which is endless, by the way) are Hermione Granger, Percy Jackson, Will Carstairs (The Infernal Devices), Levi (Fangirl), Kady Grant (Illuminae), ... the list goes on and on, but I thought I'd make a stop here before I can't stop myself anymore. I'm a dancer and I'm in training to become a professional one :) I probably won't be able to make a living of it, but I'll give it my best shot. I'm a very sportif person in general, so count me in in all things sports. Also I like to game and visit comic shops frequently. What are three goals you’d like to achieve in the next few years? If you could travel back in time to chat to a person in history, who would it be? Mary Stuart - Queen of Scotts. I'm fascinated by her story and I've read a lot of books about her and I'm a big fan of Reign (although I've only discovered the series a short while ago). A huge thanks to Yasmine for taking part and for her awesome answers! Be sure to check out her fabulous blog. I'm currently looking for a blogger to be interviewed for the August feature, so if you'd like to take part, please get in touch via email: queenofteenfiction@hotmail.com! I can't do the heat. But I am right with you, with a convincing blurb. It just has to pull me in.